A couple weeks ago Baruch Feigenbaum of the Reason Foundation posted an opinion piece in the AJC calling for the Atlanta Regional Commission (ARC) to focus transportation funding on efforts to reduce traffic. While Mr. Feigenbaum makes several good points, the piece only perpetuates the false notion that widening roads is the solution to reducing traffic congestion. Anyone that has spent more than ten years in a growing metropolitan area should clearly see that road widening has little long-term impact on reducing traffic congestion. The “build more roads” mindset is an archaic idea that has continually proved to be poor urban planning. Growing in a manner that will effectively accommodate and attract new residents will require more fundamental land use and transportation changes. Following World War II the federal government heavily invested in the outward expansion of urban areas through new road construction projects and subsidized home loans. 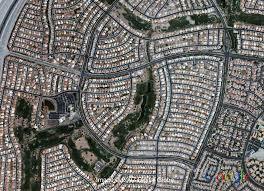 Combined with racial discrimination practices by both the federal government and private developers that encouraged white mobility and prevented minority mobility, the suburbs of America grew rapidly. This style of development promoted low-density, segregated land uses, which ultimately made people reliant on the automobile as the only form of transportation (see also the Great Streetcar Conspiracy, which implicates many private companies in the systematic destruction of public transportation against the will of society). As people became accustomed to and reliant upon the automobile, the only way to accommodate growth was through road expansion. Fast forward to today and it is obvious that it was a huge mistake to (allow the government/private industries to) build communities around one form of transportation. It has, among many other things, negatively affected our health through the promotion of less walking, increased emissions, and accidents (currently the leading cause of death among those under age 35); increased traffic congestion; and destroyed pristine environments that we need and love. Arguing that we need to focus on widening roads is irresponsible ignorance and it shouldn’t be tolerated. 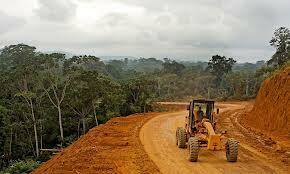 It ignores history, case studies of sustainable land use development, the current demands of new and established generations, and the health and safety of everyone. Study after study shows that widening a road does temporarily alleviate traffic, but in the end the road just becomes congested. While it may temporarily accommodate growth, it ultimately fails; and this particular method of failure only adds to all the negative things previously mentioned about the reliance on automobiles. The elephant in the room has always been that roads can only be widened so much; at some point we simply run out of space or it becomes too costly and inefficient. This is becoming more and more obvious to Atlantans. 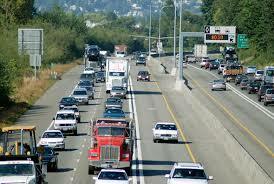 A less fundamentally different (though very expensive) option we have tried is HOT lanes. I don’t know exactly how much hard data we have, but we do know that the HOT lanes have not been a huge financial success. In my experience I’ve noticed that by only allowing people to exit the lanes at certain areas and by not providing dedicated off-ramps, the HOT lanes become congested as people attempt to exit. The ability for wealthier people to pay to get out of traffic also raises social issues. While having some people pay to get out of traffic theoretically helps everyone, it doesn’t necessarily help everyone; the lanes must attract a certain number of people and those people must provide a significant off-set to alleviate congestion in the main lanes. I agree with Mr. Feigenbaum that as a general notion the ARC shouldn’t spend money building sidewalks in heavily rural areas or hiking trails that serve no commuting purpose. However, his thought that because people don’t currently bike or walk means we shouldn’t spend any money on infrastructure to support these modes of transportation is simply flawed logic. There could be a number of reasons why people don’t currently walk or bike to get around other than that they just don’t want to. 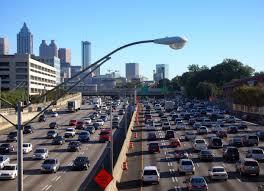 Many people, particularly in the suburban areas of Atlanta, may not walk or bike because it is extremely unsafe. Widening sidewalks and building dedicated bike lanes may allow people to act on their desires and get out of their cars. 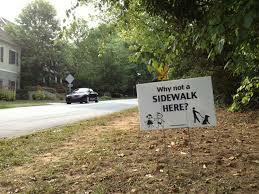 Even in the more urbanized areas of Atlanta, tiny sidewalks are directly adjacent to cars going 40 or 50 mph. This is clearly a perceived and most likely an actual danger to pedestrians. Stating that because people don’t use a mode of transportation that is in a decrepit state proves that people don’t like that mode of transportation is an extremely naive and merit-less argument. I also generally agree with Mr. Feigenbaum’s point on the need for more bus service, particularly bus rapid transit (BRT). Bus rapid transit works a lot like a subway or light rail in that it has a dedicated lane of traffic and established stations for passengers. Many people, including Mr. Feigenbaum, are proponents of BRT over subways or light rail because it achieves the same purpose and has a much cheaper initial cost. 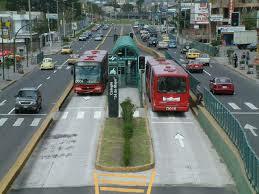 In some circumstances BRT is better and in some circumstances subways or light rail is better. Supporters of subways and light rail say that while the initial cost is higher, the vehicles move more people, require fewer operators, and last longer than buses (though this is changing). Another argument for subways or light rail over BRT is that unlike lanes on a road, rail tracks can never be used for another purpose. The idea being that in many cases cities can easily remove the dedicated road lane given to BRT, which no longer makes it bus rapid transit, while it takes much more effort to remove or re-dedicate a rail line. This may mean that businesses are more likely to invest in property located near rail stations over BRT stations because rail is more likely to provide a consistent service. While the initial cost of BRT is cheaper than rail, in some circumstance rail may ultimately be cheaper to operate and produce more tax income via property development. While there are many minor fixes we can make in our attempt to alleviate congestion, real change is only going to come with fundamental land use modifications. We cannot continue to build further and further from the economic centers of our region. While housing may be cheaper the further you go from the city, studies show that transportation costs completely eradicate any savings. In order to allow more people to live in our region while maintaining or improving congestion we need to stop focusing our development around the car. We need to build more places where people can walk or bike directly to their destination or to transit. This means diversifying transportation choices by improving sidewalks, bike lanes, bus service, and rail service. This means increasing density levels around nodes of transportation to allow more people to live within walking distance. 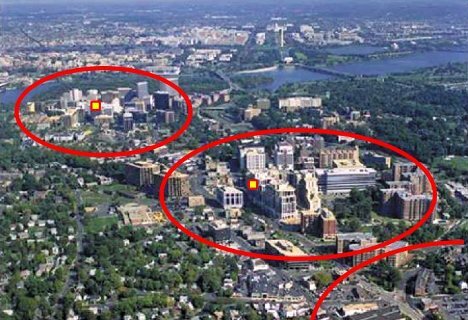 I’ve stated this case study many times before and I’ll do it again: Arlington, VA is the model for the country when it comes to increasing population and economic prosperity while reducing traffic congestion. Building mass transportation lines (not roads) through communities, and not through interstates, while increasing density around those lines allows for more people to live in an area while maintaining traffic levels. This isn’t just paternalism on the part of urban planners; many people of all generations now desire the ability to move around without the use of a car. A proposal that focuses on building more roads and widening existing ones is the equivalent of putting a band-aid on a compound fracture. The problem we and many other regions have is that we are too reliant on one form of transportation. Our communities are built around moving in one particular form, while ignoring those forms that are both needed and desired. We must not only provide more transportation choices, but change our land use behavior so that people can use those choices in the most efficient way. We can’t continue to rely on disproved and outdated policies if we want to move this region forward and make it a desirable place for current and future residents.